Social media is huge right now and businesses are beginning to catch on to these platforms and use them to generate more of a social presence and more importantly more business too. After all, the more places you are marketing and advertising your business, the higher chance you have of a potential client seeing your business instead of a competitor’s. The rule of 7 basically says that a potential customer needs to see your business 7 times before they say “yes” and become a client or customer. Obviously this isn’t always the case, but if you can put your business in front of people as many times as possible and over multiple different avenues like Facebook, LinkedIn, Pinterest etc. then you stand more chance of them seeing you those golden 7 times. 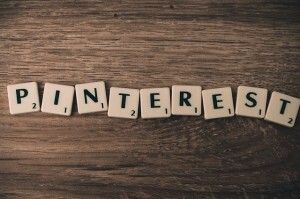 Pinterest isn’t just full of people sharing and posting pictures, many businesses use it to showcase their work, their products or just funny stories or images associated with their niche/business topics. 88% purchase a product they pinned- 49% purchased 5 or more products they pinned. The most interesting statistic here is the “88% purchase a product they pinned” and pinning is basically a bit like liking something. Further to that, the results stay true even for multiple products. Pinterest is also one of the fastest growing social media platforms right now, beating Instagram, Twitter and even YouTube. People really do love pictures. How Can You Use Pinterest with Your Business? It’s actually not all that difficult. The first thing to do is to look up your competitors and see what they are doing with their accounts. Get some ideas and use the best ideas as inspiration. The reason Pinterest is so successful is because people openly share, like and pin your images, which means that one single picture you posted could potentially be seen by thousands of people (even if you only have a few people who know that you’re even on Pinterest). It truly can be a snowball effect. Make sure though that you keep your pins fun, and imaginative. Pinterest is all about the social aspect and actually talking to your potential customers through images (which can be difficult). As an example, instead of just posting up a picture of your jumper if you own a clothing company, make someone wear it and get them to wear it with a city in the background and maybe even add a short bit of text to make it interesting. You can be as creative or as simple as you like but take a look on the Pinterest homepage and see what some of the most successful pictures are, use them as inspiration and see how you can adapt those images into your own brand, and really crack Pinterest to produce business for you too.